Before applying for a mortgage loan for your home, it is in your best interest to improve your credit score. By doing so, you will not only increase your chances of being approved for the loan, but you will be more likely to receive an attractive interest rate on your loan. To that end, here are five simple ways to improve your credit score. 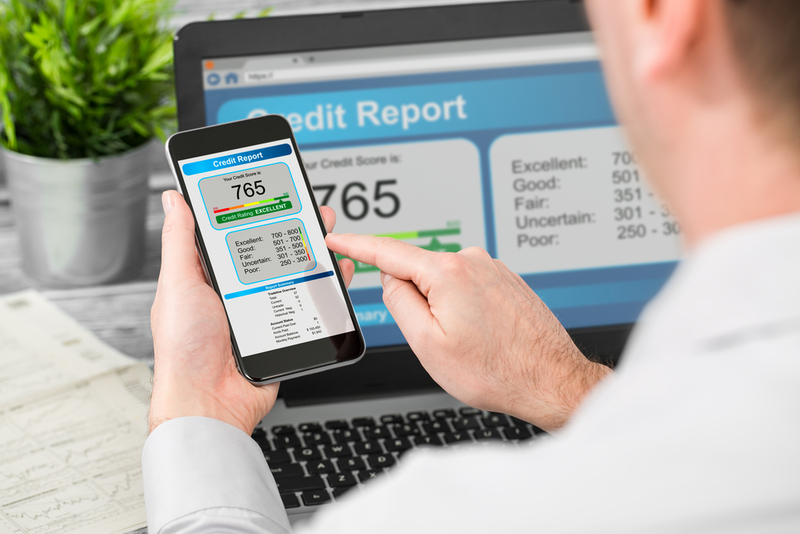 The first step you should take toward improving your credit rating is to order a copy of your credit report and ensure the information is accurate. Fortunately, you can obtain a copy of your report easily and for free by visiting AnnualCreditReport.com. This service and the free credit report that you receive is made available through federal law. Once you receive your credit report, you should review it to ensure all of the information is accurate. If any of the information is incorrect, you should write to the credit reporting agency to report the mistake. Even mistakes that are seemingly small, such as a misquoted credit limit, can have a negative impact on your credit score. If you have never had a credit card, a car loan or any other type of loan, you probably do not have any credit history to speak of. Having no credit is nearly as bad as having bad credit, as potential lenders have no way to determine how much of a risk you might be. Therefore, you may need to build credit by taking out a small car loan or by applying for a credit card. When using a credit card, however, be sure to pay the balance each month and resist the temptation to stretch your credit too far. After all, failure to repay your credit card will not only put you in unnecessary debt, but it will also damage your credit rather than build it. If you already have an established credit history, it is In your best interest to avoid getting new loans or opening new credit card accounts. Excessive inquiries into your credit report and having too many loans or lines of credit can negatively impact your credit score. Instead, focus on paying off the loans that you already have and making your payments on time. You can help to improve your credit score by taking steps to pay down your credit card debt and other types of debt. If you have debt on several different credit cards, it is best to pay each down rather than focusing on just one. This is because your credit score is impacted by your credit to debt ratio. In other words, carrying $3,000 worth of debt on a credit card with a $3,500 credit limit is worse than carrying $1,500 on two different cards with $3,500 credit limits. It may seem simple, but the best way to build your credit score is to simply pay your debts on time. If you struggle with making timely payments, work out a payment schedule to help ensure your bills are being paid on time each month.